Most Christians know the basics of the gospel. They know God sent Jesus to die in our place, to bring forgiveness of sins and reconciliation to God. Most know that we are saved by grace, not works. But there are certain truths which flow from the gospel that we have diminished our ignored and most of these have to do with our present lives. This ignorance of the present power of the gospel and the ensuing failure to walk in that power is the explanation for much of the hypocrisy and weakness in the American Church* today. So by all means, let us recapture good gospel doctrine. Doctrine like adoption. We are part of God’s family now through the work of Jesus. We are sons and daughters of God. We have a secure place to grow in the family of God. God calls all His people to gather together with other believers for encouragement and worship and equipping. The doctrine of adoption forms a solid foundation for the local church. We are not a loose association of individuals. We are family. Let us recapture the doctrine of grace-empowered obedience. We are so allergic to anything that smacks of rule-keeping or legalism that we have moved to the other side and give everyone a license to do anything in the name of Christian liberty. By all means, many matters of preference are matters of Christian liberty and provide us opportunities to love and serve one another and to get along in spite of differences. But many other matters are matters of Christian obedience. Jesus commands us to seek first the kingdom of God, to serve one another, to love one another, to give generously, to endure persecution faithfully, to pray and not give up, to abide in Him, to not lust and covet, to not be ruled by the cares of this world or the deceitfulness of wealth. Dozens of other commands come just from the teachings of Jesus, not to mention other Scripture. So what do we do with those commands? If we ignore them and do our own thing we dishonor God, put ourselves on a destructive path and become a terrible witness for the kingdom. If we cry “legalism” or “works-righteousness” at this point we deny the voice of Jesus, because He tells us in the gospels alone dozens of things we ought to do. We sometimes criticize those who call themselves “Red Letter Christians,” who pay attention primarily to the words of Jesus and minimize other parts of Scripture. But are we not in danger of making the opposite mistake in the name of grace? Might we not be guilty of minimizing the commandments of Jesus in a misguided effort to uphold grace. Here is the bottom line . . . in the Bible, grace changes us. Those Jesus saves are never left the same. Sanctification may be a messy, slow, frustrating process (mostly due to our stubborn hearts) but it is a reality. The one who began the work will see it through. So if you profess faith in Christ but see no growth in obedience to Him, no growing depth of love for Him, no progress in faithfulness, then all your sound doctrine and all your past experience and all your expectation of blessing should really be replaced by repentance and faith. While it is undeniable that there is significant gospel ignorance in our culture, it is more true I think that we suffer more from a lack of gospel living than from a lack of gospel information. 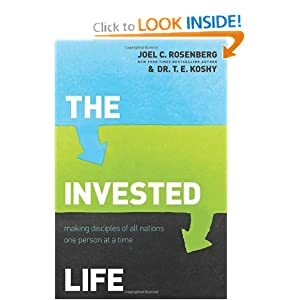 There is a connection of course and there is a sense in which many people do not thrive because they do not really understand how the gospel is to affect every day life. But many of us, I think, understand these things. We just don’t want to live by them. We are happier in our minds being our own Lord. But no man can serve two masters. And I wonder, if we have lived our lives being our own Lord here, what makes us think we will want to bow the knee to God when we pass into eternity? If we don’t really want to live under His authority here, why in the world would we want to live under His authority there? If heaven is going to be like Thanksgiving dinner with family members you barely talk to and hardly know, is it really going to be heaven? It is interesting that in John’s gospel, both love and belief are linked to obedience (John 3:36; John 14:15). So obedience is not opposed to loving and trusting Jesus, it is an expression of love and trust. Don’t buy the lie that it is legalism to follow your Lord. And don’t buy the lie that you’re OK as long as you have right doctrine. And especially don’t buy the lie that God exists to make you the center of the universe and to give you what you want without hardship. Trust the Lord to work the full implications of the gospel into your life, so that while you are not perfect, you are being perfected and you are walking in the strength of a life lived by faith in Jesus Christ. *I dislike the phrase “the American Church” because it is so broad and too general but I can’t really think of an alternative term so take it here with the reservation that I am not saying every single church or every single Christian is characterized by these things. In Mark 3:13-19 we have an account of Jesus’ appointing His disciples. Most of us know the familiar names and that there were twelve and most of us know that Judas Iscariot is consistently singled out in all the gospel accounts as a traitor. What I find unique about the account in Mark is verse 14. Here Mark tells us that Jesus called the twelve “so that they might be with Him and He might send them out to preach and have authority to cast out demons.” I see here two aspects of Christ’s call which are most instructive. First there is the call to be with Him, then there is the call to ministry. Jesus calls us to relationship with Him, where we learn of Him and live under His light and easy yoke (Mt. 11:28-30) then He sends us out to minister to others in His name. Our first call is to abide in Him. But this is not mere pietism. We are also sent out. You really need both to be a mature follower of Jesus. The answer to that question is “no.” Practice does not make perfect. Practice makes permanent. The great basketball player Shaquille O’Neal was a terrible free throw shooter. It wasn’t that he didn’t practice. It was that his form was bad. So the more he practiced the more his poor shooting form was confirmed. The same thing happens for us spiritually. Our daily life determines our long term course. If we are following the Bible’s description for our lives and walk daily in those things, we will be conformed to the image of Christ. If we live by our own wits and ways, though, we will end up in a very different place in our lives. We may believe we are following Jesus, but all along we will be drifting farther and farther away from His intention for our lives. So let’s keep looking to Jesus for His marching orders for our lives. First things first would mean making the Great Commandment and the Great Commission primary in our lives and then walking out those truths in every day specific situations. I don’t want to be like Shaq, walking in the same unbiblical ruts and thinking that my consistency is bringing me closer to Christ-likeness. A friend sent me this devotional this morning from Jerry Bridges and I just had to share it with you. It is excellent. If it’s true our relationship with God is based on his grace instead of our performance, why are we so prone to fall into good-day/bad-day thinking? It’s because we’ve relegated the Gospel to the unbeliever. Regardless of when you trusted Christ, the cross divides your life into two periods: “unbeliever” and “believer.” What one word describes the Bible message you most needed to hear as an unbeliever? It’s the Gospel, the power of God for salvation (Romans 1:16). And what one word describes the message we most need to hear as believers? 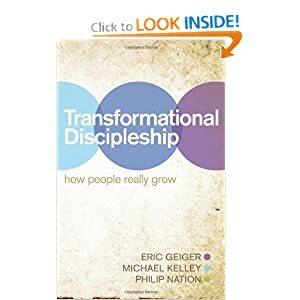 I get many different answers to that question, but most can be summed up with the word discipleship:demands and duties such as the spiritual disciplines, holiness, and service. I don’t question our emphasis on discipleship. Jesus did say, “Go therefore and make disciples” (Matthew 28:19). If anything, we need more challenge and instruction on this. 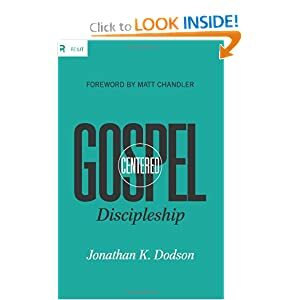 But there’s something more basic than discipleship, something that provides the necessary atmosphere in which discipleship can be practiced: the Gospel. We need to continue to hear the Gospel every day of our Christian lives. Only a continuous reminder of God’s grace through Christ will keep us from falling into good-day/bad-day thinking, where we view our daily relationship with God as based on how good we’ve been. Only the joy of hearing the Gospel, being reminded that our sins are forgiven in Christ, will keep the demands of discipleship from becoming drudgery. Only the gratitude and love to God that come from knowing he no longer counts our sins against us (Romans 4:8) will provide the proper motive for responding to the claims of discipleship. The Church is the place of inspiring and equipping . . . the field is the world (Luke 10:2). There are a number of books being released over the next few months on the issue of discipleship. This has always been a hot topic. We want to know how to live for the glory of God in a fallen world and see God use us in His service. But I have noticed recently a new crop of books on this topic. I am interested in reading many of these books in the days to come. I can’t recommend any of them yet, but I wanted to make you aware of them nevertheless. Below I have listed several of the books, along with a blurb from Amazon about each book. Some are already available and a couple will be released in the next couple of months. 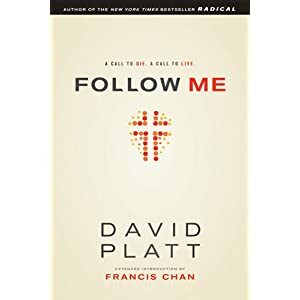 “Jesus gave his followers a command: “Follow me.” And a promise: “And I will equip you to find others to follow me.” We were made to make disciples. God desires to pour an abundance of spiritual and emotional capital into your life. And he wants to use you to pour spiritual and emotional capital into others. Along the way, you’ll be changed. Others will change. You will experience God and his community in a new and personal and supernatural way. And so will others. Each of these books seems to have real potential to be a help to pastors and to all who care about growing in Christ. May God use these resources to help many live as more faithful disciples of Jesus. I saw a very good video clip from Francis Chan today called “Aging Biblically.” I thought its basic message was very strong. Here is a link to the clip. I would encourage you to watch it and then I want to make a couple of additional observations about aging from my experience in a church with large numbers of older people. 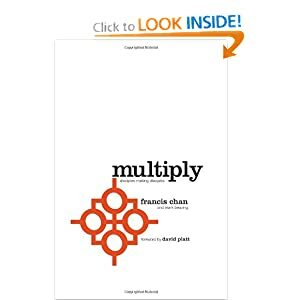 I admire Francis Chan’s passion for God. I admire his desire to not be attached to material things. I totally agree with his words about the years seeming to go faster as you grow older. Chan says he doesn’t meet many elderly who are living like they are about to meet the Lord in eternity. Then he talks about how we’ve got it backwards, we take risks when we are young and take no risks when we are older. I think this is a good point, but it needs some clarification. Yes, we can see more clearly, as we grow older, that this world has nothing left for us. But there are two big differences I see between 18 year olds and the elderly. First, there is an issue of energy. Maybe Chan is only thinking of those who are in their 60’s, and if so I would more fully agree with him. But if he is thinking also about people in their 70’s and 80’s, there are just certain realities of aging that would keep the vast majority of these from serving with the same degree of energy or activity that they had in their 20’s. It’s not that they don’t want to, it’s that, in many cases, they can’t. Arthritis has them in constant pain. When it is difficult just to get up and around, when you are constantly concerned that you might fall and break a hip, the equating of mission between the elderly and the young Chan advocates is unrealistic and can put needless guilt on the elderly. I know many elderly people who really want to serve God more actively, but they can’t because of health. They still love him, they are still people of prayer, but their activity level will never make them look like sold-out believers. I think this can cause some, like Chan, to look for something radical in the elderly that is more outwardly evident than what they can give. The second qualifying word I would give is this: the elderly deal with grief more consistently than do the young and this often, while causing them to long for home with God, also hinders them from reaching out to others. Most of us who are younger can not imagine what is like to lose a spouse or a child or a sibling. The elderly experience these things over and over and over as they age. We need a robust theology of grief in the Church. This is a critical need that has often been neglected. We need to be helping people work through their grief. If we want elderly people who will serve the Lord faithfully, we need to walk with them in their valleys. This is hard work and demands the resources of the whole church if it is to happen. There is one more thing in Chan’s video with which I take issue. At the end, he says, “Some of these young people are dying to come under the tutelage of elderly people who can not wait to see Jesus and are living that way.” I just don’t see it. Maybe I don’t see enough young people or maybe they don’t express their hearts but I see very few young people who want to come under the tutelage of an elderly person. Instead, many young people see elderly people as a drag on the church, not an asset to the body of Christ. They see elderly people as the ones who don’t want any change (of course they don’t want change, they lost everybody in their family to death in the last five years). In the church, we often see elderly people in the same way our culture sees them, as people having little value. I would love for Chan’s statement to be true but it does not square with reality in my part of the world. This is why my heart is burdened by the lack of attendance in our intergenerational study this summer. I know everything works against it. The summer is the time when people are gone. Wednesday night is probably the worst night of the week to do anything if you hope for good attendance. This is an opportunity to bring together the generations, yet hardly any youth or young adults have participated. Older adults who could benefit from the relationships around the table have also been absent. May God change our hearts so that we value these opportunities not simply for what we can get out of them, but for how we can bond with and bless others within our fellowship. May we not be 200 individuals seeking our own way with God, but a community of faith showing each other the way. May we not be youth ministries and children’s ministries and ladies ministries and men’s ministries and senior adult ministries. Instead, let us be the church, and let individual groupings always be aimed at serving the greater good of the whole body. Francis Chan’s video strikes an important chord in church life and I appreciate his heart that the elderly not waste the days that remain. I believe the church as a whole can help them avoid that error if we will pull together. The Southern Baptist Theological Seminary in Louisville, KY is sponsoring a conference in August called, “Connecting Church and Home.” I hope you will consider going and that we will have a great group from the church going to this conference. The conference will be held on August 26 and 27 on the campus of Southern Seminary. If you have children at home and you care about your church, you should go to this conference. This conference may prove to be decisive in helping you help your children grow in the Lord. I was recently listening to some teaching on parenting and the main focus of the teaching was that our goal as parents is to raise children who live their lives as unto God rather than unto self. This, of course, is impossible apart from the work of God in the child’s life. But we are still called to seek to help our children grow spiritually. This is much more important than any investment you make in your child’s hobbies or sports activities. This is eternal. The conference costs $200 per couple, or $125 for an individual. You may think that is too much for you, and perhaps it is a lot for you to pay. But when you compare it to the money you spend on your child’s activities, like music or dance or sports, it is easy to see that this is a small investment in the grand scheme of things. But it is an investment that could have lasting returns. Yes, you will have to get a hotel room. Yes, you will have to buy gas and meals, but in the end, how much would you pay to strengthen your family spiritually? In addition, if we have a good group go from the church, you can enjoy fellowship and meals and conversation with your fellow church members and together you can take home the principles of the conference and apply them together. Go to http://events.sbts.edu/connecting-conference/ to learn more about the conference and to register. The best rates on registration run through May 27. At that point, rates will increase. If you are going, let me know by leaving a comment at the blog or by letting me know on Facebook or by email or at church. I hope you will take advantage of this great opportunity.